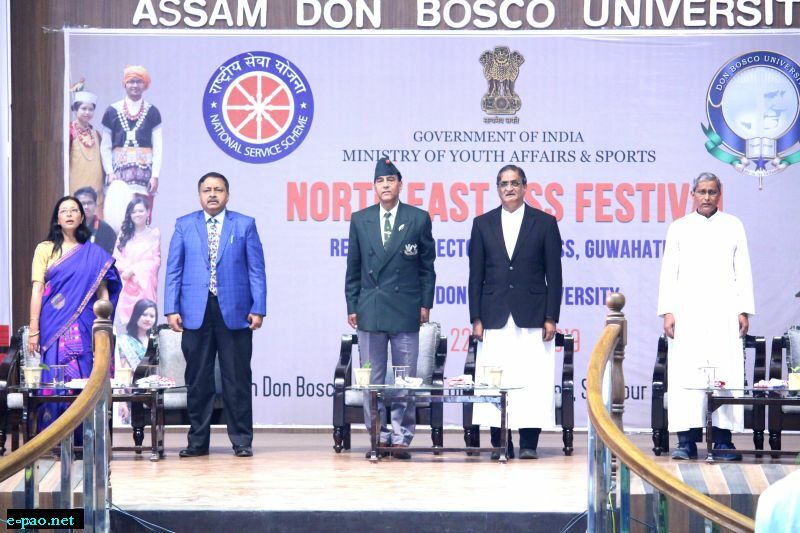 The five days North East NSS Festival organized by the Regional Directorate of NSS, Guwahati in collaboration with the Ministry of Youth Affairs and Sports, Government of India and Assam Don Bosco University, concluded today here at Tapesia campus of the University. The event was held from 18 to 22 March 2019. The mega event saw participation of 637 NSS volunteers and NSS programme officers from 14 Universities and colleges from across eight northeastern states. Retired Army Brigadier Mr. William Sturgeon, who is currently the Meghalaya Vigilance Officer, was invited as the chief guest of the closing ceremony. 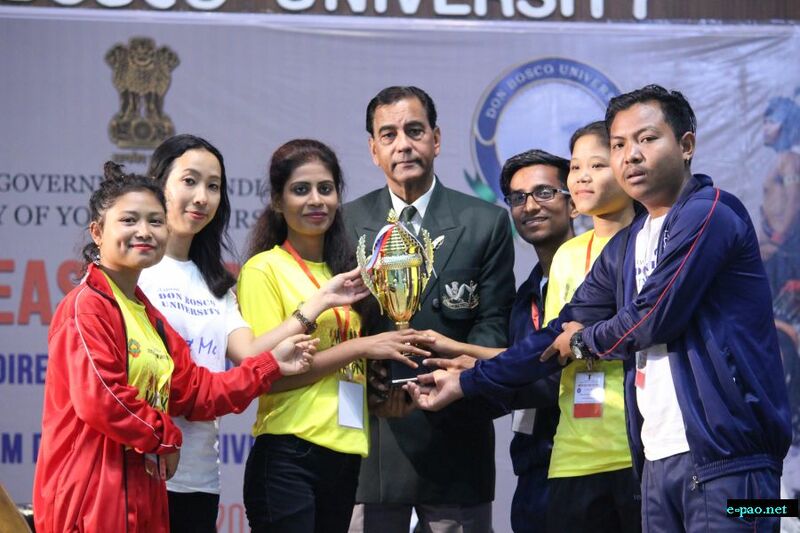 One the other hand, Vice Chancellor of Assam Don Bosco University, Fr (Dr.) Stephen Mavely, urged the youth NSS volunteers to propagate that there is a value in unity of living despite having differences in ideology, values and culture. Other dignitaries who participated in the closing ceremony include Pro Vice Chancellor of Assam Don Bosco University (ADBU), Fr (Dr) Joseph Nellanatt, Fr (Dr) Biju Michael, Registrar, ADBU, Dr Riju Sharma, Director School of Humanities and Social Sciences, ADBU and Mr. Victor Narzary, NSS Coordinator, ADBU. As part of the event various programmes were conducted which include, life skilling training, games, adventure sports and trekking, literary, art and elocution competitions, and an educational tour. Academic session is focused on life skills. Outstanding performers and groups were also handed over prizes in several competitive events. NSS was launched on 24th September, 1969 by the then Education Minister Dr. V.K. R.V. Rao. It is an initiative taken for the higher National education system to inculcate spirit of service among students, through first-hand community engagement programmes, while they pursue their studies.